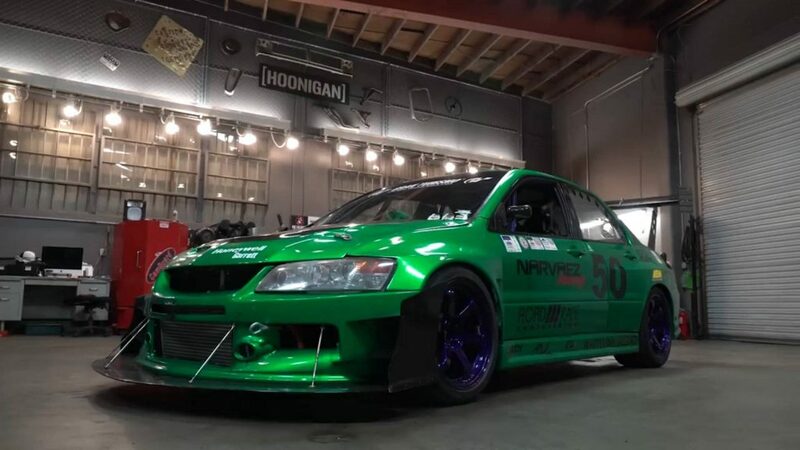 The Hoonigans just did a Build Biology video feature on Roy Narvaez’s EVO 8 that we built for him back in 2015 for Pikes Peak. We built the car for Roy out of James Singer’s old street car that got rear ended by a girl in a Jeep putting on her makeup in the morning commute. Even though the damage in the rear was just the rear body panels and rear part of the floor, the car was declared a total loss by an idiot insurance adjuster that didn’t know the difference between a Lancer and an EVO. Roy bought the shell and RRE took it from there. 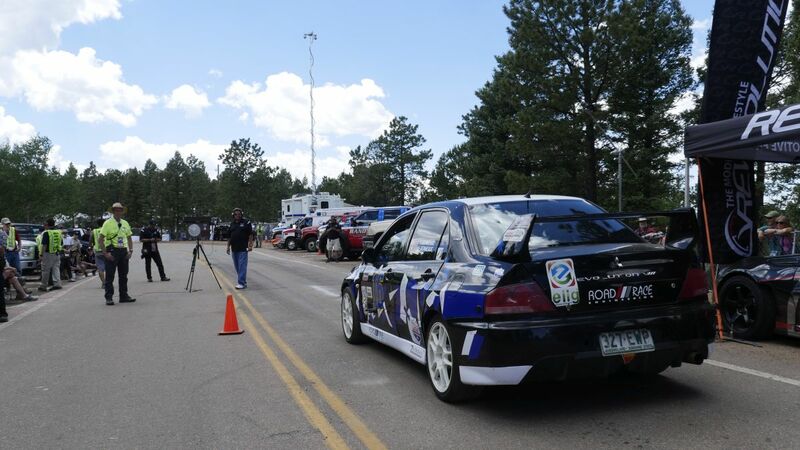 Roy raced the car in 2015 but that year the course got shortened due to weather. He came back in 2016 for some satisfaction to complete the full course. But that year the mountain got him instead. He was driving in practice up in the W’s section and the straight road just moved and made a curve out of nowhere. You can see it in the crash video. You can watch the in car video and the road moving out of no where just stuns poor Roy and side of the road just wrecks into the car. Weirdest thing to watch it is. He was done for that year’s attempt. Back in LA Roy took it to a body shop to fix but they tole him the car was wrecked so it was unrepairable. Yes, the body shop said because the car was crashed they couldn’t fix it. The frame was bent. Silly us we thought that was what body shops did, fix crashed cars. The car had too much work in it to throw it away. So Mike got out his big hammer and with some 1950’s frame pulling technology he straightened the core shell and floor and replaced the frame rail and radiator support. 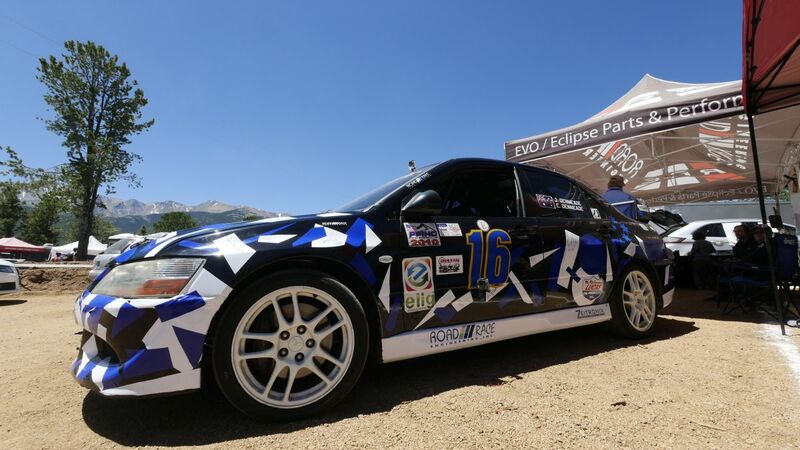 Some new APR bod panels and suspension and it was ready to race again for the 2017 Pikes Peak Hill Climb. Check out the video for a closeup look at the car and some stories from Robert Garcia about the build. You can pay by credit card, money order or by PayPal or in person with small unmarked bills. Please e-mail or call for payment options. We prefer a little personal interaction with these to be sure they go to the correct address and person so as to not spoil any surprises. 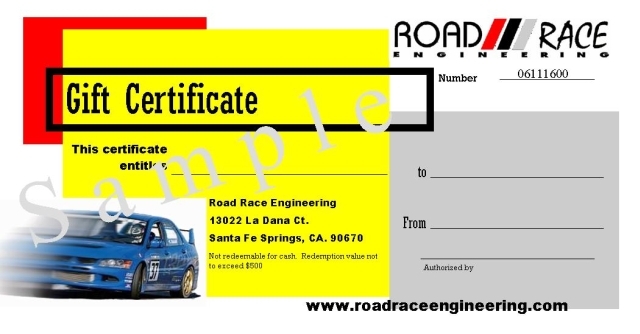 We can send them to you by regular mail, however at this date a printable version by e-mail works wonders for your sanity. Factory Mag style lug nuts are needed for the factory wheels. These use the regular 21mm socket the same as stock. 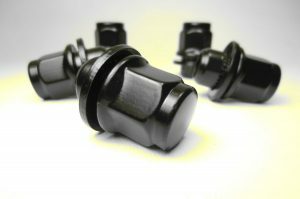 Other “Acorn” style lug nuts and cute anodized and JDM fruity colors lug nuts wont work correctly with the factory wheels. They will not seat correctly, these do. Now available in Chrome and Black finish. This is the 2nd sprint race of the CFOS weekend on Sunday. 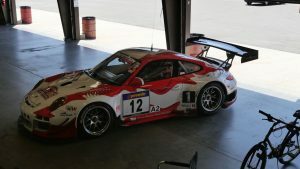 Dr Alex had a strong start and was running in first place in the GTA class and 2nd place overall to the GT1 Class 996 turbo of Dwain Dement from Vision Motorsports. 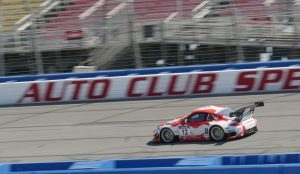 A late race pass by Daniel Davis in a Turbo Cup Car in the GT1 class dropped Dr Alex to 3rd overall. The final result was 3rd overall and first place in the GTA class. 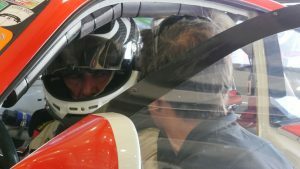 His best lap time of 1:39.03 in the race was his fastest lap for the three day weekend. 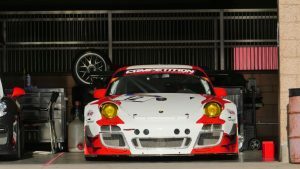 The car is a 2013 spec 997 GT3R from Manthey Racing in Germany. It was built to campaign at Nurburgring and endurance races. 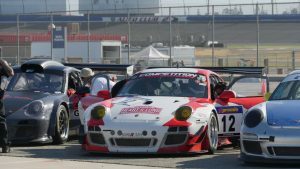 This was the first race in the United States for the GT3R. 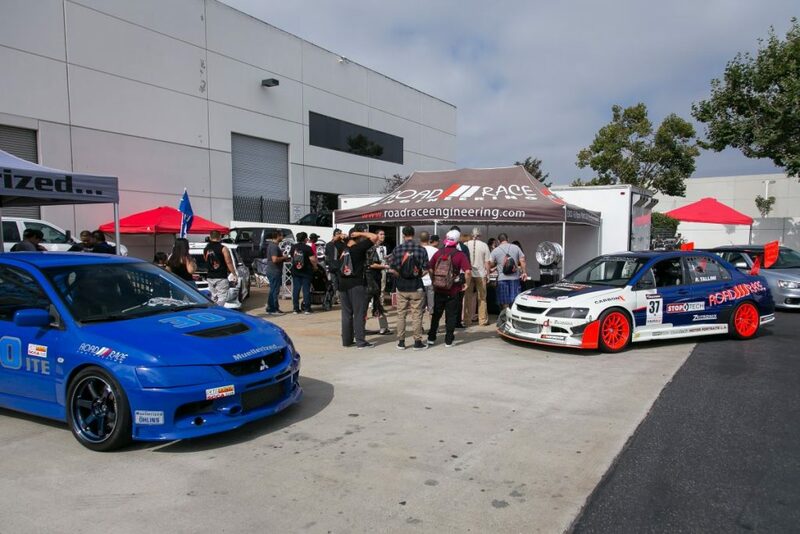 Dr Alex is familiar to our Mitsubishi customers normally driving the RRE widebody EVO 6. Juha Rintanen is from Finland and was in town this last week prepping his 240 SX for the first Formula Drift round here in Long Beach. They camped out for a week in a corner of the shop to do some maintenance, general cleanup and swap out the intake manifold and injectors. Here he is on the RRE Dynapack Chassis Dyno. 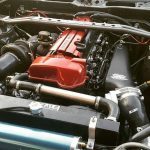 The car has a 2JZ punched out to 3.4 liters with a Garrett GTX3582 turbo running on Thunderbolt E85 race gas. After the test day they put a new clutch in the car here at the shop and were off to Long Beach for qualifying just in time. Good luck guys! GTTNSIDEWAYS is a short movie featuring Coco’s, BMX bike, his GTR 35, his bobber featuring RRE driver Coco Zurita Pro BMX rider from Chile. 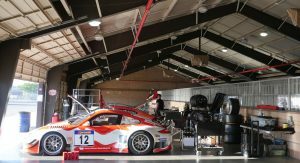 Here is a Factory Five GTM on the Road Race Engineering Chassis Dyno being tuned by Sam “icantunafish” C. using HP Tuners software. 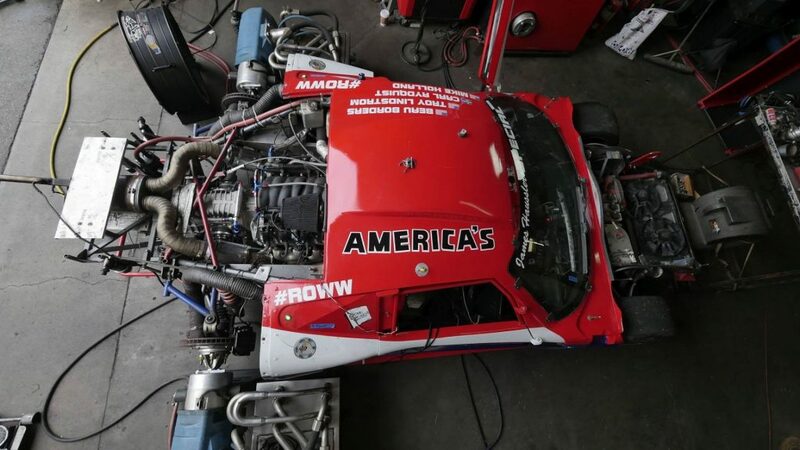 The car is is built primarily for the NASA 25 Hours of Thunderhill race but also runs in other NASA events and some west coast endurance races as the schedule allows. It is essentially a stock LS3 small block with an open exhaust. 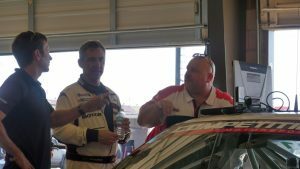 Video is the car on track at Buttonwillow running with NASA driven by Carl Rydquist. The Factory Five Racing GTM is owned by Yvonne and Richard Migliori, powered by a GMPP LS3 tuned by Road Race Engineering. Basically this is a stock Mercedes/AMG Supercharged 5.4 Liter V8 in a sand rail chassis. The headers add some additional HP along with the AEM Infinity ECU. The rail is being tuned here on the RRE Dynapack Chassis Dyno by Sam C “icantunafish” The motor runs on California 91 octane pump gas with the Infinity ECU controlling the 50% water and 50% methanol injection. 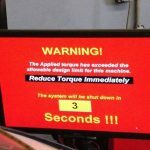 The AEM Fail safe gauge keeps tabs on the flow rate and shuts the meth party down if the flow is out of range. If the meth nozzle is clogged of the pump is dying, then the flow will be low and the fail safe cuts in. If a meth pressure hose were to pop off or otherwise spring a leak then the fail safe would see too high a flow and shut things down also.